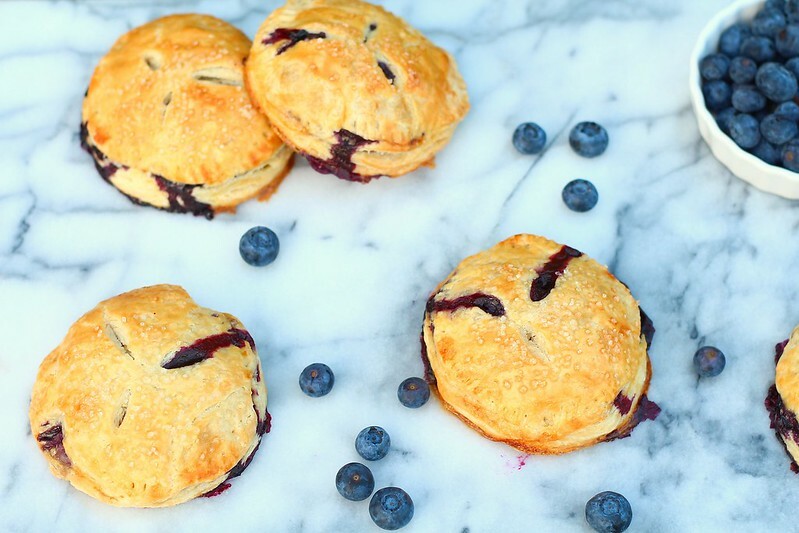 I know that I should have posted this recipe when blueberries were still in season, but then I realized that pie is acceptable any time of the year. So who cares if it's November!? Perhaps these would be perfect for your Thanksgiving dessert table? Because, really, who can resist a hand pie? I know I can't. 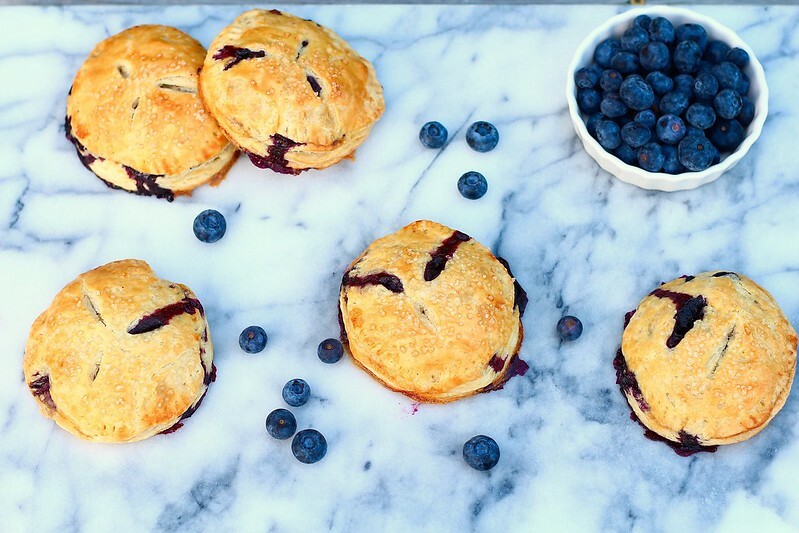 These pies are filled with my favorite blueberry pie filling. 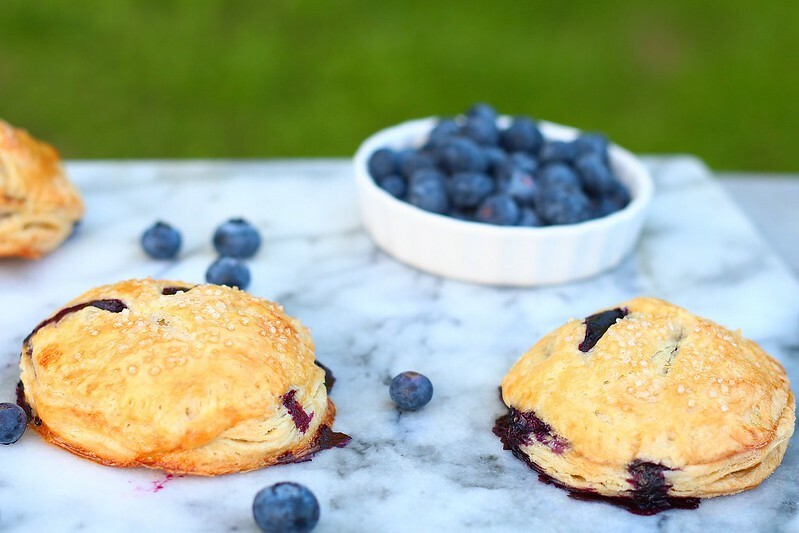 Just a simple mixture of fresh blueberries, sugar, cinnamon and lemon zest. Making a hand pie is actually easier than it may seem. I use a large round cookie cutter to make the rounds uniform. The filling is mixed up in a bowl, spooned into the center of the cut out pie crusts. Then, the other half of the cut-outs are placed over the top and sealed with a fork. Then baked to perfection! These are ideal to take in your lunch, or eaten with your afternoon cup of coffee or tea. Or for breakfast. Because, really, pie is great any time of the day! In a medium bowl, gently mix together the blueberries, lemon juice, sugar, cornstarch, lemon zest, salt and cinnamon. Lightly flour a work surface and roll out the crust to about 1/4-inch thick. Using a 2-3 inch round cooke cutter, cut out an even amount of rounds. Gathering the scraps and re-rolling the dough until it is gone. Place one half of the rounds on a baking sheet lined with parchment paper or a silicone baking mat, these will be the bottoms. Roll the rounds still on your work surface until about 1/2-1-inch larger then the bottoms. Cut three slits in each top round for a steam vent. Spoon a small amount of the blueberry filling in the center of each bottom round, leaving a clear edge. Place the tops over each filled rounds and seal with the tines of a fork. Brush the tops with the egg wash and sprinkle with sugar, if using. Place in the preheated oven and bake for 25-30 minutes, or until golden brown and the juices begin to bubble through the vents. Let cool before serving.